January thaw over, we’re back in an Arctic weather pattern here in New England. Sub-zero and single digits are the norm, bringing lots of crying and counting of days until spring on social medial platforms. I try not to complain about the weather because there’s nothing I can do about it. Back when I began preparing for the Apocalypse, I bought an L.L. Bean mummy-style sleeping bag. I slept in it last night; it’s so warm and toasty, like being inside a power plant. It’s hard to get up and while I can take small mincing steps around the house or hop around like I’m in a sack race, I can’t stay in this sleeping bag all day, can I? Curious about “mummies” and “mummification,” I surfed the web this morning. Mummy sleeping bags resemble mummified bodies, but the resemblance stops there. The sleeping bag preserves life; the historical sleeping bag embalmed, embraced, and wrapped death. Some ancient cultures stored mummies in pyramids, sarcophagi, and tombs. I store my mummy in a bag under my bed. I wonder if some marketing expert shouted “Hey, let’s call it a sleeping womb” at a brainstorming session. The mental image of a cherubic sleeping baby is so much more pleasant than a dried out old mummy. This entry was posted in Friday Pillow Talk and tagged bridal shops, mummies, Romeo & Juliet, sleeping bags, warm as the womb. Bookmark the permalink. A bit morbid, isn’t it? Ding, ding, ding! An early morning winner! Both the sleeping bag and the bridal shop are morbidly named, but I’ll try to have some fun with it anyway. The White Sarcophagus? When my first paycheck bounced, I knew it was going to be morbid. Stay tuned, neighbor friend! I do believe they could have come up with a better name. Yet it sounds so cozy and warm! So much better than my old, worn out LL Bean bathrobe I bundle up in on these cold days! Hi gwynsmum! 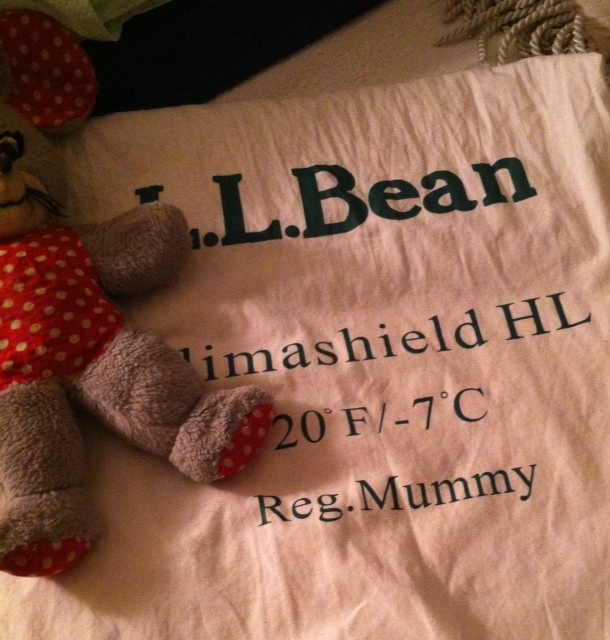 What I think would be wonderful is if LL Bean made a “snowsuit” of the mummy bag material. Sort of a “lounger” for people who work from home. That would be a lot easier. Ohhhh, I would totally get one of those!! !